Mariateresa Lazzaro is a biotechnologist with PhD in Agrobiodiversity and expertise in the area of plant genetic resources management. 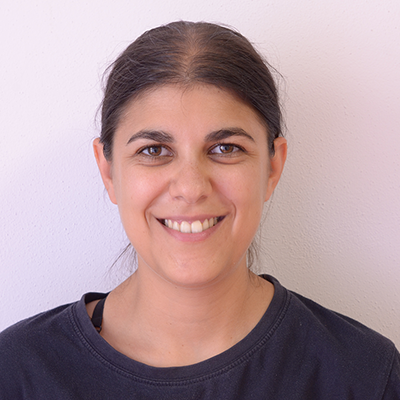 She is currently a postdoctoral fellow in the Group of Agroecology at the Institute of Life Sciences at the Scuola Superiore Sant’Anna (Pisa, Italy). Her work focuses on the study of functional biodiversity and related agroecosystems services provision. She applies participatory research methods for involving agri-food sector stakeholders in developing resilient agriculture systems. From 2016, she works on CAPSELLA project, supporting the bottom up combination of knowledge existing in local communities with open data and data infrastructures with the aim to deliver services to these communities and the society in general for supporting the transition to a more sustainable agri-food production. With her work in this field, she supports open innovation in the agri-food sector, and, in particular in biodiversity based, agroecological domain. Exploiting open data in combination with farmers’ local knowledge, and the parallel processing of them by targeted Information and Communication Technology (ICT) tools, support farmers in the application of ecological principles in food production. A broader access to open data and data analytic tools for agriculture mediated by public open access initiatives can help to provide farmers more power in the information management sector and to implement tools supporting the transition towards sustainable agri-food systems. Here we present the experience of H2020 CAPSELLA project (www.capsella.eu) in developing new models of participatory innovation in biodiversity-based agriculture working with open software, open data and open hardware.